You can run the "./configure" command with extra configuration options as needed. 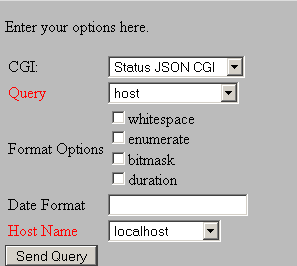 Post install, you should find the 3 new CGIs in /usr/local/nagios/sbin, and the jsonquery html and js files in /usr/local/nagios/share. You can then save the url, parametrize it, etc for use in ajax calls and/or integration into custom front-ends. Feel free to play around with the numerous options. The CGIs are highly versatile and work well with ajax loops for custom front-ends and client-side models. This is version 1 of the CGIs, so if you find any bugs, please report them to http://tracker.nagios.org. More features are planned, so stay tuned! If you utilize the new feature to create a new addon for Nagios, please share it back with the community by posting it on the Nagios Exchange. In part 2 (coming soon) I will cover some use cases for the new CGIs and provide a short walk-through covering the creation of a (small) custom front-end. Remember, Nagios World Conference 2014 is coming up in October. Register here for 10% off your conference pass. Act now, because this offer won’t last long! Good tool. I can see numerous possibilities. When are you publishing Part 2? Is it possible to obtain all the current services in critical status applying filters such as “Not Flapping” or “Not In Scheduled Downtime” ??? At this moment i’m able to obtain this data but without any filter, something like this. 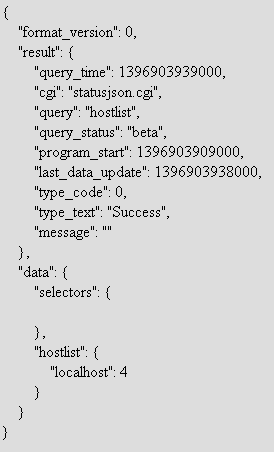 As you can see this json query returns all services in pending status.